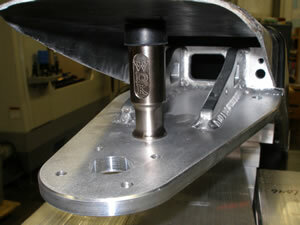 Billet steering stop/chin pad support. 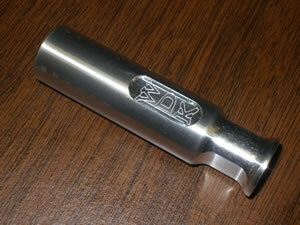 Nickel plated finish with 1/2" rubber cushion (bottom pic). This is truly universal for Yamaha�s. Enter the desired height in the option box. Included is one M10 stainless steel bolt and washer. Less money and better than anything on the market.